Lee Mar Wholesale Pet Supplies has been serving Pet Shops, Groomers, Veterinarians, Kennels, Trainers, Breeders and Other Re-sellers since 1973. Enjoy the freedom of buying any item in any quantity desired. Free shipping on orders $150+ delivered within the contiguous USA. Full line pet supply distributor offering 10,000+ wholesale pet supplies. Modern shoppers gravitate to great brands and an ever evolving retail catalog. 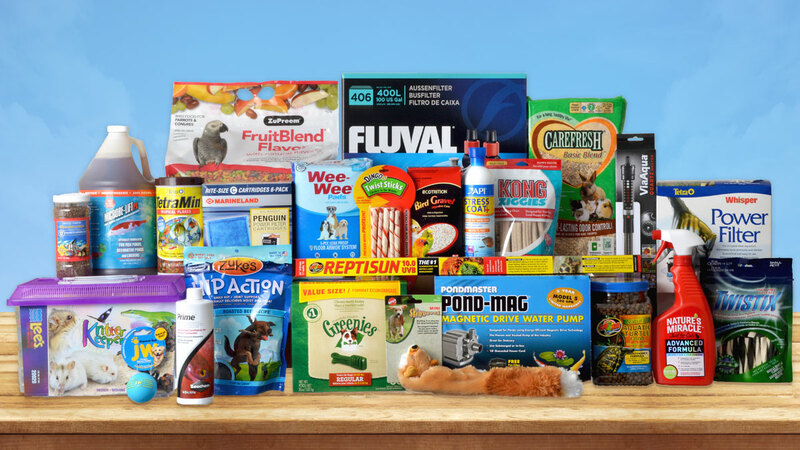 Expand your supply with over 300 popular pet brands capturing shopping trends that keep your customers coming back time and time again. NEW Feature: Never lose a sale again due to limited inventory. Order online from our full line catalog and ship to your store for in-store pick up or conveniently ship directly to your customer's home. Expand your product offering with no upfront cost. Shipping labels show your store name & address. Prices are never displayed on your packing slips. Same day shipping Mon-Fri before Noon PST. Ship anywhere across the contiguous USA. 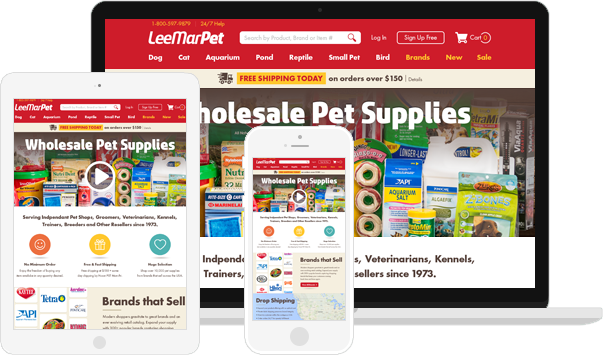 Lee Mar Pet’s online ordering portal is available 24/7 on computers, tablets and smartphones. Members can access order history, current pricing, live inventory and track shipments in a secure real-time environment. Create an order from past orders or search by product number. We accept all major credit cards and PayPal. Our dedicated and professional customer service team is here to help you and your business grow. You can always reach us by email or call us toll-free at 800-597-9879. Applying to become a member is as easy as 1-2-3. Unlock member only wholesale pricing today! Submit your free membership application today. No terms or credit check required. Applications are approved for verified resellers only. We will email you upon approval. Log in to unlock member only exclusive pricing. Place your 1st order and save today.